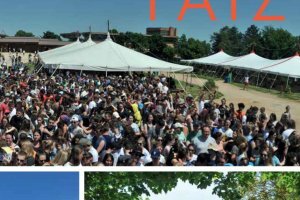 Life at Taizé from Taize on Vimeo. This short (15 minute) film moves swiftly through the story of Taizé to focus on the weekly meetings of young people. A DVD version is available with a soundtrack (so far) in English, French, German, Italian and Spanish. See Books, CDs, DVDs for details of availability in different countries.